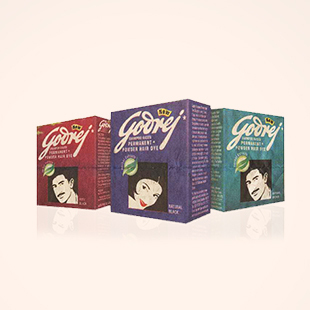 Godrej Expert, India's first hair colour brand, is the largest selling hair colour used by over 4 crore users. Offering quick, beautiful and ammonia-free colours, Godrej Expert is a brand for the young at heart. At Godrej Expert, we are constantly innovating and making hair colour with care accessible to each and all. We focus on offering our consumers the best possible benefits. Our products include Godrej Expert Rich Crème Hair Colour, a rich crème hair colour, Godrej Expert Original, a unique powder hair colour and Godrej Expert Advanced a gel that is extremely convenient to use. All this in different shades and at affordable prices. We became the pioneers in the industry with the first hair colour brand. In the following years, we got a little bolder with hair colour and developed a hair dye in powder form. It was the first in a series of innovative hair colour offerings tailored especially for Indian consumers. 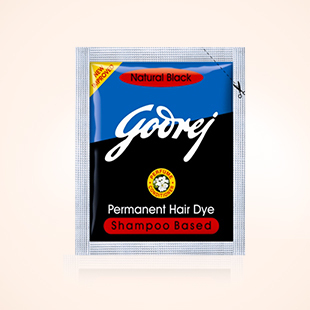 Godrej hair dye was the 1st brand in India which made hair colour available in a sachet. We transformed, from a powder hair dye in bottles to sachets - an innovative format that democratized hair colouring in India by making hair colours widely available and affordable. 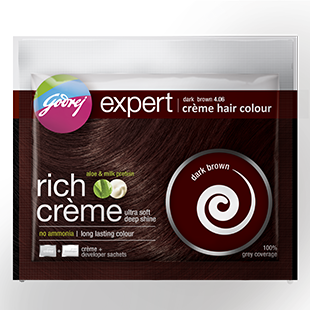 The range Godrej Expert Powder Hair Colours was introduced. Godrej Expert became the clear leader in hair colour with a growing base of happy consumers. But we wanted to offer our consumers more, so we undertook a big rebranding exercise and added two new variants: Care - with a natural flavour and Advanced - an exciting gel based format to our ever popular Original. We reintroduced India to crème colouring in a revolutionary way. A crème colour that doesn't require measurements, doesn't smell of or contain ammonia and is not heavy on the pocket. We introduced the revolutionary Godrej Expert Rich Crème in a new Multi-Application Pack so you could colour your hair multiple times and even do root touch-ups with just a single pack, in the comfort of your home. Our Multi-Application Pack comes with a colourant (tube) & developer (bottle), and 2 colour protect conditioner sachets.